The ombre fabrics (we used Bohemian Rhapsody from QT Fabrics) make this quilt a star! 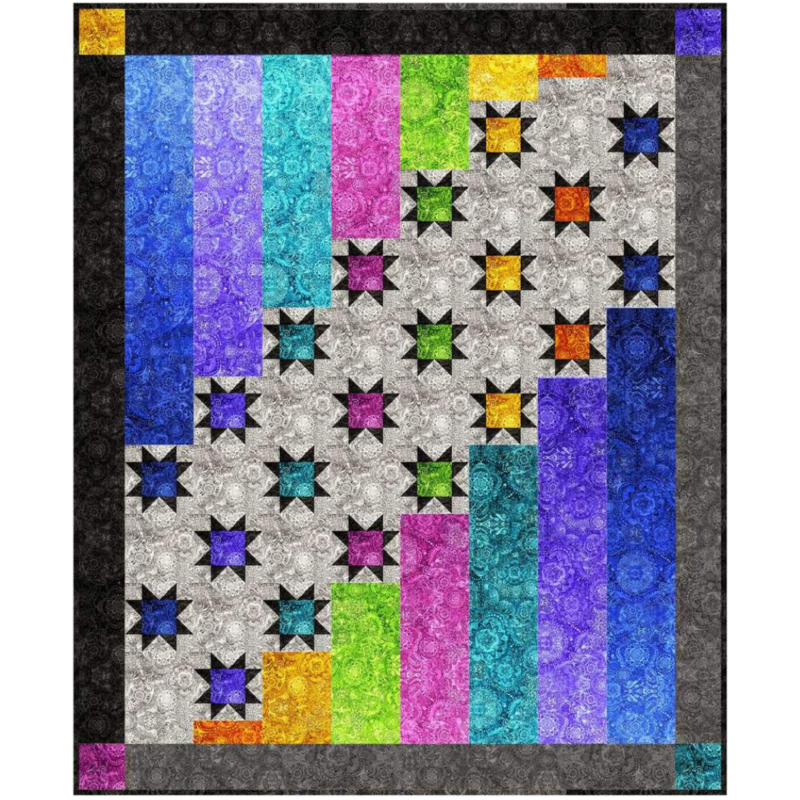 This lap quilt is very easy to piece and finishes at 56" x 68". Kit includes pattern and fabric for top and binding. Backing and batting is not included.